SPRING BREAK CAMP SIGN UPS ARE NOW OPEN!! Sign up with us before April 5th and SAVE $50! What are Plays Days? are a single day event lasting 7 hours. The cost is $100. for the day, $80.00 for the day if you are a LVRA Student. What are Camps? are a full week event, Monday through Friday. The cost is $550.00. There are only two full week camps a year Winter break, and Spring break. We only take 12 to 15 campers for Play Days and Camps. LUNCHES ARE INCLUDED! Summer Play Day/Camps we only take 6 kids a day. You can sign up by the day $60/day or sign up for the whole week $250/wk! Winter Break and Spring Break Space is limited for 12 to 15 students. 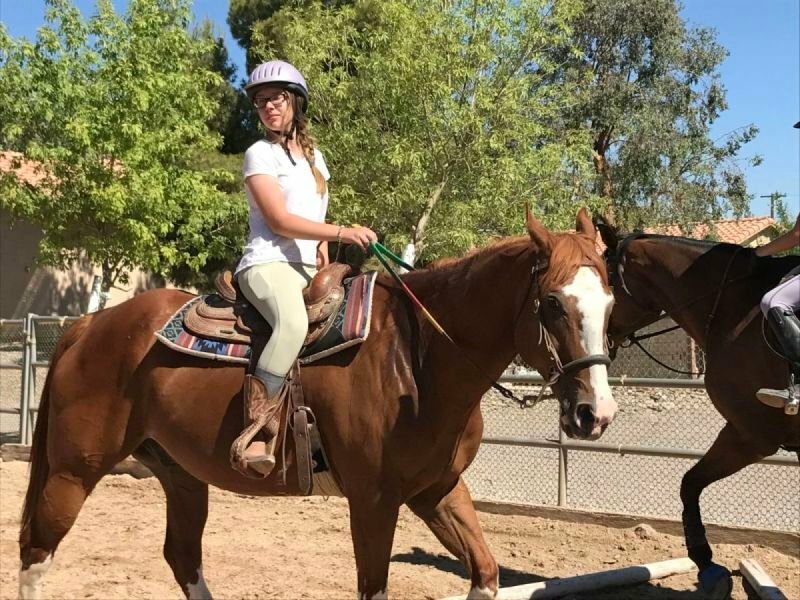 The kids are assigned a horse for the week and are taught to care for them. You can bring your own horse, or one will be provided. We work with the kids on Showmanship, Equitation, Horsemanship, Trail and Gymkhana. At the end of the week (Friday) we invite the parents out for a mock horse show . The kids win ribbons and prizes. The kids will also do crafts, learn about horses, horse safety, care for the goats, chickens, ducks, rabbits, we also have dogs and cats. **Most Camps start at 8am or 9am and go until 3pm or 4pm, Early drop off and later pick up is available, for additional cost of $5. an hour. Call or e-mail us, we can mail or e-mail you a application. with $100.00 deposit, make check out to Kathryn Davis. Balance must be paid 1 week before camp.